Morimoto Las Vegas combines delicate Japanese beauty and elegance, with exotic photographs by Yasumichi Morita, to create a stunning restaurant with a signature Morimoto touch. We come to the strip often and visit many restaurants. Morimoto Las Vegas is located at the MGM Grand, in The District. It was just what we needed after a crazy day. The ambiance was modern and elegant. Service was spot on and we were able to enjoy our time and did not feel rushed. Do not come here if you only have 30 minutes. This is a place to unwind and relax. The food was done perfectly and could not have had been seasoned any better. Items on the menu vary in price. Taste and quality vs price was inline and fair. I beleive the items shown here was right around $120. The mojority of the dishes are $31 to $50 but if you are looking for steak, highend seafood or big assorted sushi platers, you will be looking closer to over $70. We don't drink so I can't really comment on the cocktails. If you are planning to visit Las Vegas always make reservations before you get here. There is always at least an hour wait for prime time. 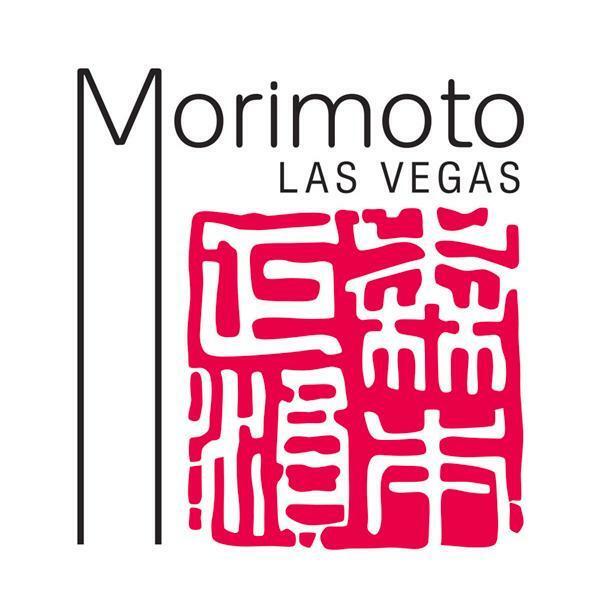 Chef Masaharu Morimoto has created a bridge between the culinary traditions of his native Japan and the American palate, bringing intense excitement, exquisite technique, and perfectly balanced flavors to Las Vegas. Blackjack is the staple game of the table games. In the game of Blackjack, a player receives two cards and the dealer receives two cards – one of the dealer’s cards is buried, one exposed. Numerical cards are worth their value, face cards are 10, and aces are either 1 or 11. Players decide how to play their hand. Stand: When a player opts not to receive another card, he stands. Hit: When the player requests an additional card, he hits. Split: When a player has a pair (ex: 8,8), he may match his bet and split the pair into two separate hands. Note: when splitting aces, players receive only one card on each ace. Surrender: If a casino offers surrender (many do not), it means that a player may fold his hand and receive half of his bet back. Surrender is only possible on the first two cards. If the dealer has an ace showing, players may not surrender before the dealer checks for blackjack. The dealer must play until a hard 17 or better. Whoever is closest to 21, player or dealer, without going over, wins. If the player exceeds 21, he automatically loses, even if the dealer exceeds 21 too. When a hand is “soft” it means that there is an ace in the hand and taking an additional card will not bust the hand. The layout of most blackjack games will specify whether the dealer will hit or stand on soft 17. Standing on soft 17 is better for the player, so most low limit blackjack games will have the dealer hit soft 17. Soft 17: The hand below is either 7 or 17. Receiving a face card would not bust this hand. Hard 17: The hand below is either 17 or 27. Receiving a face card would bust the hand. Basic strategy, often referred to as “The Book,” is the mathematically best way to play a hand of blackjack without knowledge about the distribution of the rest of the cards in the deck. It is important for a blackjack dealer at any dealing school in Las Vegas to have a working knowledge of basic strategy, as well as to understand the misconceptions. There are many variations of the blackjack basic strategy chart. Any rule change (such as not allowing double after split) and any variation on the number of decks changes the strategy. For instance, on a six-deck shoe if a player has 7-7 vs. a dealer’s 10, basic strategy dictates the player should draw, but on a single deck, it’s proper to stand. Every situation is different, but a general rule to remember is that you telling someone they are wrong is not fun for anyone. Aside from getting blackjack basic strategy wrong (most players do), the biggest misconception a player makes is when he believes another player’s actions affect his hand. Players often have a selective memory and remember that time when a player stood on his 14 vs. the dealer’s 6 and “took the dealer’s bust card,” but mathematically, another player’s decision has an equal chance of hurting or helping. Basic strategy is not written as a collective strategy for the entire table – that is simply superstition. The easiest way to think of basic strategy is in terms of weak or strong dealer hands. If a player assumes the dealer’s hole card is 10, a 7, 8, 9, 10, or A as the upcard gives the dealer a pat hand. If the dealer’s hole card is 2, 3, 4, 5, or 6, it’s a very weak hand for the dealer. No matter what card is underneath, the dealer will have to draw. Drawing another card increases the dealer’s chances of busting. If a dealer shows a strong upcard (7 through A), the player should hit until 17. If the dealer shows a weak upcard (2-6), player should stand on 12+ (exception 12 vs 2/3). Split and double down on soft hands often against a weak dealer’s upcard card. If a player has 11, he should double down. If the player has 10, he should double down against every card except a 10 or A. If the player has 9, he should double down against a weak dealer upcard of 3-6. If the player has A-A or 8-8, he should split. If the player has 9-9, he should split except vs. 7, 10, A. This chart below is one of many that shows the basic strategy for the most common blackjack game in Vegas: multiple deck, dealer hits soft 17.